Atelier is one of those series where it seems it has been around since the dawn of time (1997 to be exact) and produces new games at a rate comparable to the breeding habits of tribbles. There are currently twenty games in the main Atelier series with an almost equal number of side games. The latest release, Nelke & the Legendary Alchemists: Ateliers of the New World, is the newest addition to the numerous side games. This title offers up a brand new experience within the Atelier universe, but it’s one that caters to servicing longtime fans of the series. Nelke herself is not an alchemist, but rather a young noblewoman who recently ended up governing the village of Westwald. Her role in the game is not unlike the heroines of the mainline Atelier games, but instead of seeking out powerful relics like an RPG hero, her primary goal is to develop Westwald into a bustling and thriving community. City management is her primary task, and as the community grows, famous alchemists from previous Atelier titles will travel to Westwald and take up residence, providing plenty of fan service for veterans of the series. 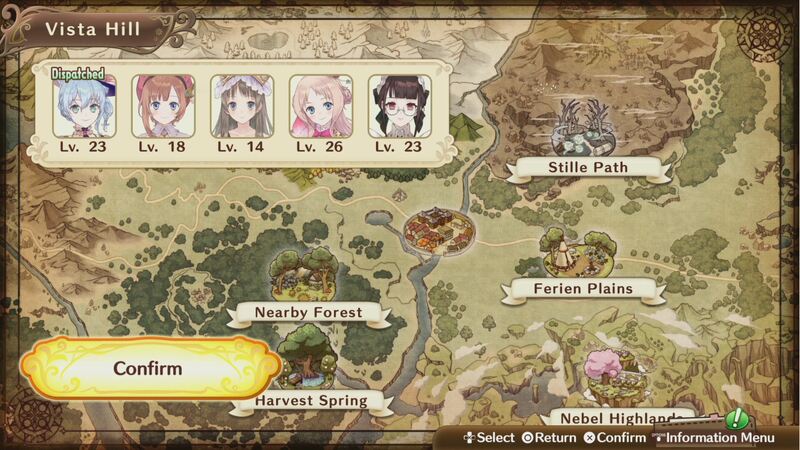 The core gameplay is that of a city management simulation, but this is done with the lighthearted charm and character interaction that one would expect from an Atelier title, along with several other elements that wouldn’t make an Atelier fan feel out of place. Nelke arrives in Westwald and soon meets all the friendly residents, making the whole village feel like an anime version of Mr. Rogers’ Neighborhood. The few people of note walk Nelke through the tutorial portion of Nelke & the Legendary Alchemists: Ateliers of the New World, offering instructions on how everything works. 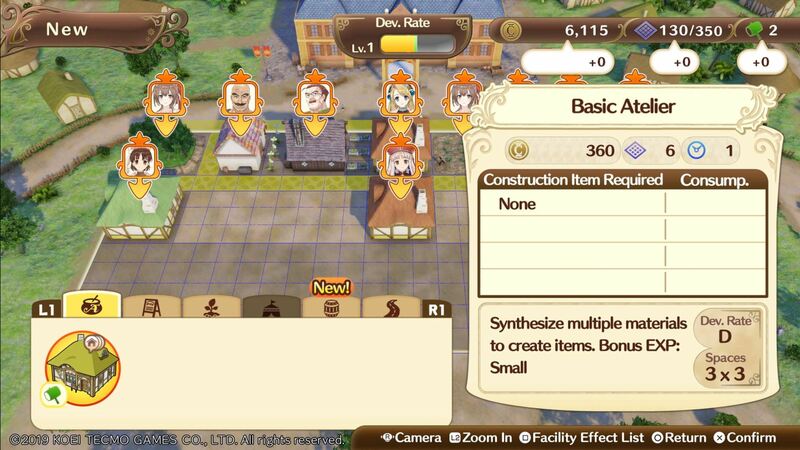 The most basic summary is Nelke will use the town resources to construct ateliers, stores, fields and other useful structures and then assigns different residents to operate them. Managing Westwald isn’t as challenging as some other city management sims but the amount of tasks to juggle can get rather impressive as the story progresses. The story advances through the completion of turns. Each turn will typically begin with a cutscene that explains some issue that is going on Westbald to advance the story or there may be an announcement of the arrival of a new resident, typically a person of note from a previous Atelier title. Each turn ends with a summary screen, ranking how effective each resident was at their assigned task and what changes happened to the Westwald’s population. Income and expenses are measured to help give the player an idea of how well they are at growing Westwald. Each turn is divided into two sections where the player directs the growth of the Westwald, Holiday and Weekday. The Holiday portion is where Nelke & the Legendary Alchemists: Ateliers of the New World becomes a light JRPG. This is where Nelke can engage in activities such as visiting other residents or exploring the surrounding territory. There is a finite amount of action points available during the Holiday which are used up during the visits to other notable residents or can be spent on time exploring the wilderness surrounding Westwald. These visits can do things like increase the friendship level between Nelke and the characters or open up new requests. Going into the wild is where Nelke and her party can gather resources and fight monsters. Walking through the forest takes longer but allows the party time to collect resources, but chances are they won’t make it to the end of the path, which leads to more materials and opens up the option to unlock another path. Nelke can run, which will increase the odds of reaching the end, but they won’t stop to gather anything along the way. Monsters will still attack them whether they walk or run. 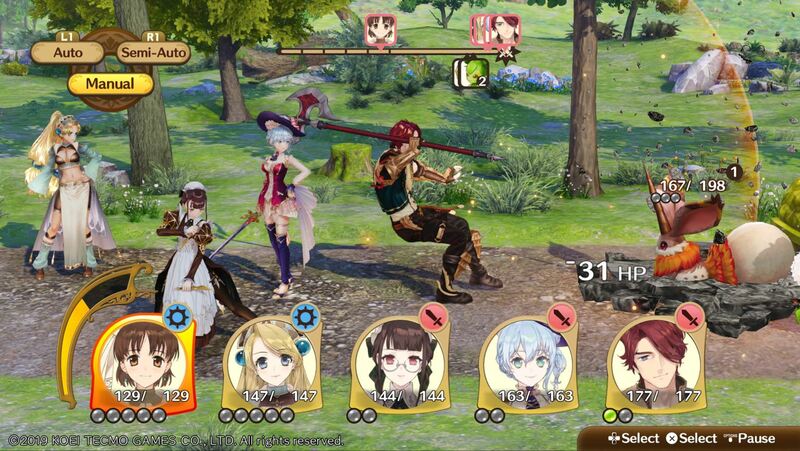 Combat in Nelke & the Legendary Alchemists: Ateliers of the New World is a typical JRPG turn-based affair, with Nelke and other characters taking on direct combat roles while the alchemists are controlled by AI and play a support role. 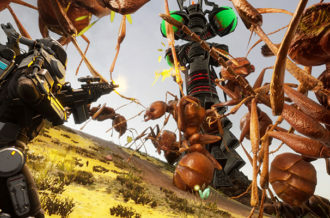 Combat isn’t particularly challenging, but it’s a minor part of the game. 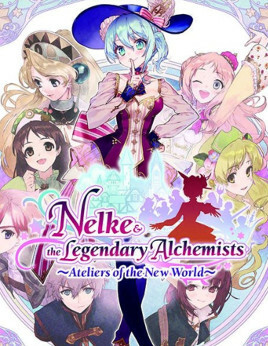 The bulk of Nelke & the Legendary Alchemists: Ateliers of the New World takes place during the Weekday portion of each turn. This is where the player will build and manage Westwald, and while this is not exceptionally complex, there’s a lot of management that goes into it. After a structure is built, such as a store or atelier, Nelke can delegate the running of the facility to any of Westwald’s residents. The player can then manage each facility to decide what the alchemists will synthesize, the fields will produce or items the shops will tend to sell. 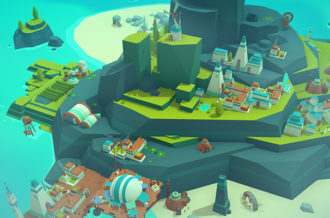 As the game progresses the town will develop items that can be taken on the investigations to gather resources, such as shovels to dig up treasure or bombs to use in battle. As the player progresses new areas to develop will open up, eventually leading to multiple districts to manage. The overall management of Westwald is simple, but as the player gets deeper into the game there ends up being a lot of stuff to juggle. 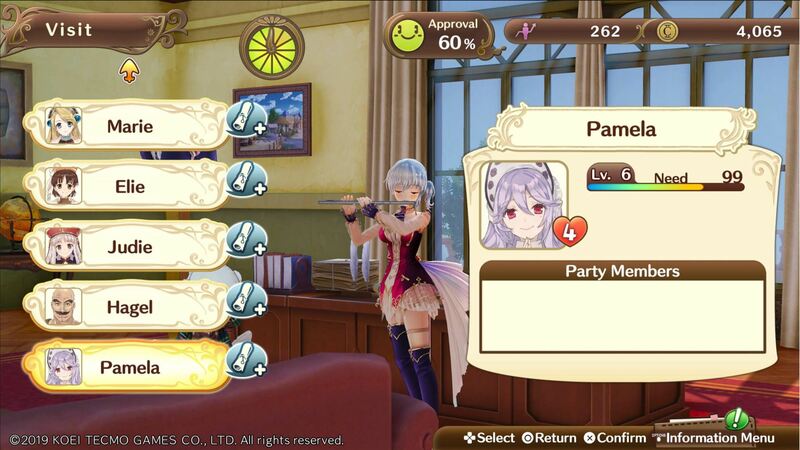 Nelke will need to be mindful of what all the active requests are in order to fulfill them for rewards and keep her villagers happy, such as producing so many units of vegetable oil or selling a certain amount of beer. Managing multiple ateliers and stores does offer a lot of control over what the player wants to focus on developing and building the town in their own image, but going through and adjusting every facility on each turn can quickly get tedious. The progression in Nelke & the Legendary Alchemists: Ateliers of the New World seems to go at a linear and rigid pace, and while the story-driven aspect keeps things interesting, it can seem like this is a game that is watched as much as it is played. Gathering resources and fighting is enjoyable, but with the limited action points and only being allowed to do this during the Holiday portion of each turn, this ends up being a tiny part of the overall experience. 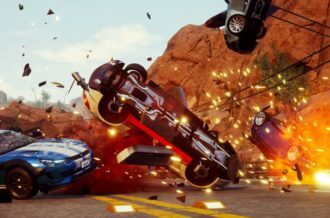 While the game’s appeal does become more apparent the longer one spends with it, even several hours in it feels like it’s still in a tutorial mode. Building the town is fun to watch everything unfold, but it feels when playing the story will usher itself along without the player’s choices offering any real impact. The visuals are exactly what fans of Atelier games would expect and it’s cool for fans of the series to see familiar characters coming together in this new setting. The music is lighthearted, which fits the overall tone of the game, and one of the more amusing aspects of the soundtrack was hearing a tune reminiscent of this. Nelke & the Legendary Alchemists: Ateliers of the New World is not the most complex city management game ever devised, but it is quite enjoyable. The balance between city management and JRPG aspects is much more heavily focused on the former, but the blend of the two styles helps keep the title from ever getting boring. This title is basically a celebration of twenty years of Atelier titles, and while it may not be the strongest entry in the franchise catalog, it’s a must play for longtime fans. 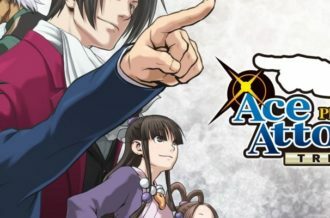 Judging this title strictly on its gameplay merits would simply be a good game and nothing special to write home about, but the inclusion of so many past Atelier characters make this an enjoyable game for fans.